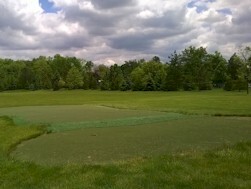 Chipping and Putting Green Practice Areas - Muirfield Association, Inc. 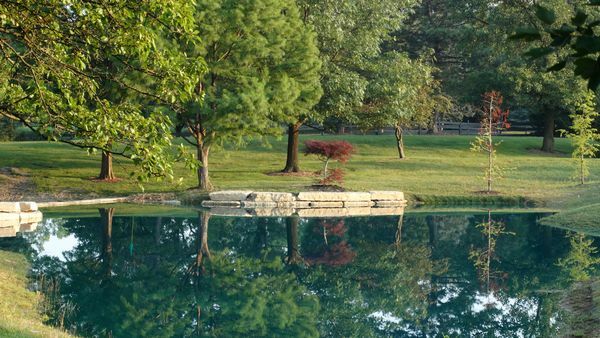 Naturally, Muirfield Village is popular amongst golf enthusiasts since two golf courses, the home of the Memorial Tournament - Muirfield Village Golf Club and The Country Club at Muirfield Village, are located within Muirfield's boundaries. Living in Muirfield does not include golf course membership at either course; however, Muirfield has both a practice chipping area, nicknamed "Smuirfield", and a practice putting green. Chipping Practice Area - "Smuirfield"
Smuirfield is a chipping practice area that is open to all residents and their guests. 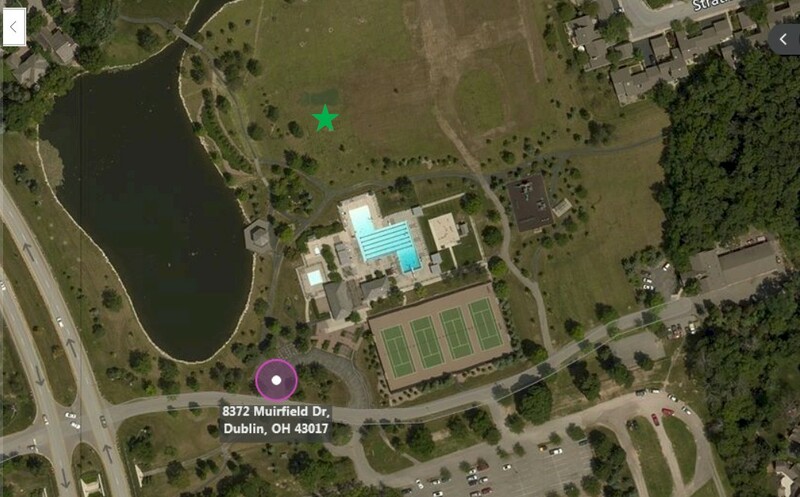 Smuirfield is located at the southeast corner of Glick Road and Muirfield Drive in the area behind the fountain. There is no parking lot; instead, it can most easily be accessed by parking along Whitecraigs and utilizing the pathway. View a map here. Smuirfield has been recently upgraded! A new water feature has been added to make the area more challenging, the hills have been re-created, and the landscaping has been updated. Come out and give it a try! 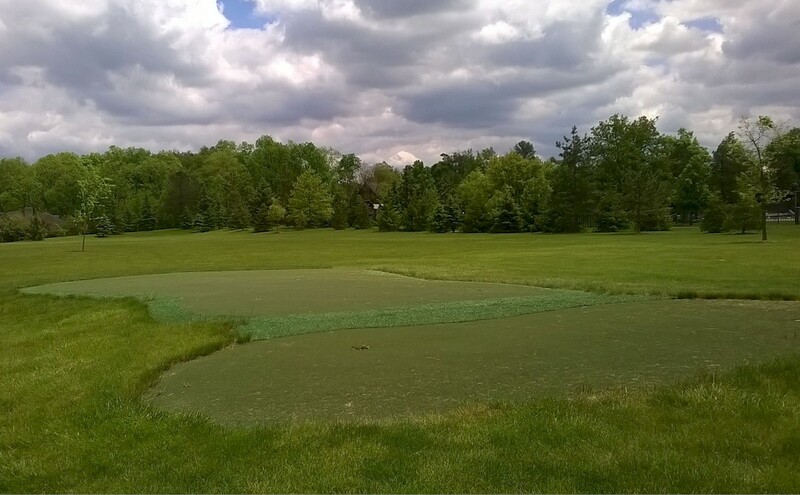 A practice putting green is located at the Holbrook Recreation Complex in the green space to the north of the pool. This small, single green offers several holes to test your putting skills. 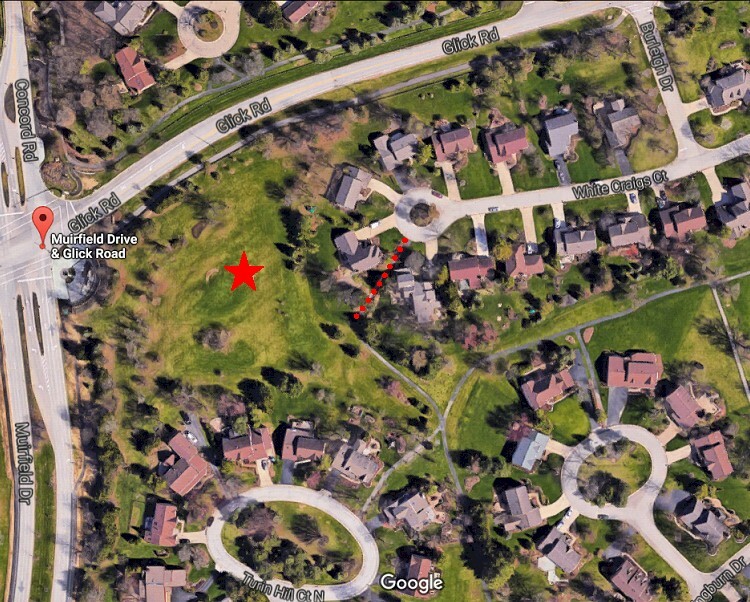 To find the green, it is best to park in the Holbrook parking lot and walk up the path by the lake and gazebo. Just past the pool, start looking on your right for a raised area in the grass. View an overhead map here.